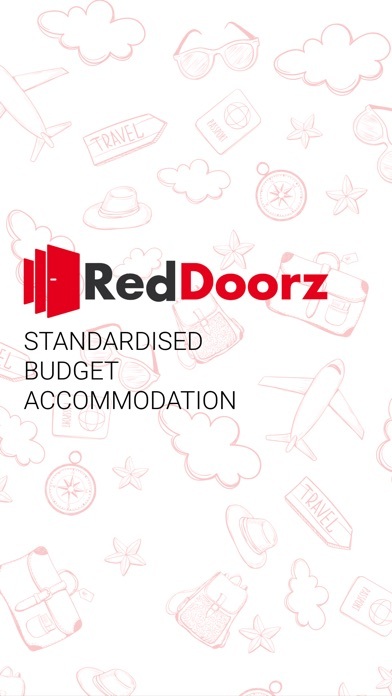 RedDoorz is the fastest growing network of Branded Budget Stays in Indonesia and Singapore which provides assured standardized services for a comfortable stay experience at affordable prices! 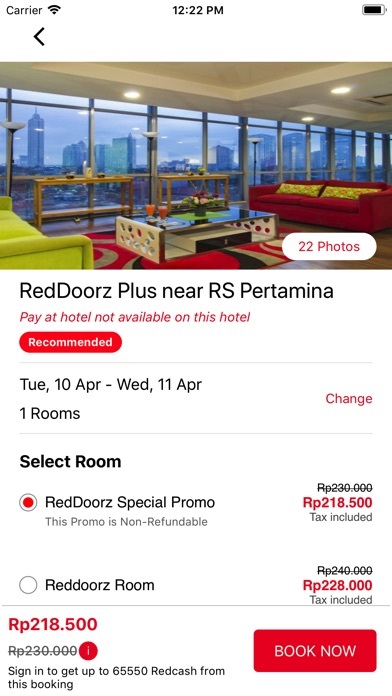 RedDoorz has hotels across 6 cities in Indonesia and Singapore. The RedDoorz mobile App provides an easy to use and user friendly interface for faster hotel booking experience. Also get exclusive deals and discounts on the RedDoorz mobile App. Why Book hotels online on RedDoorz? 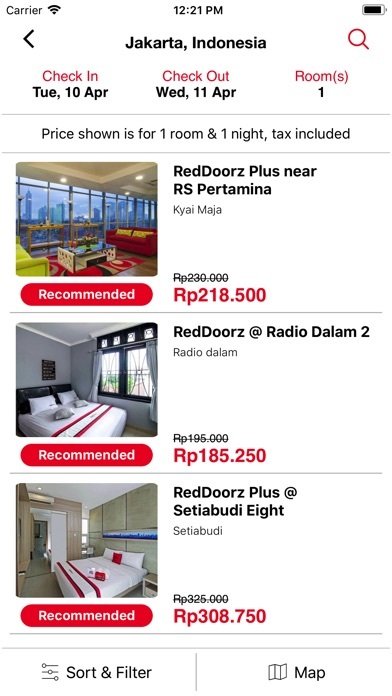 RedDoorz has a wide range of hotels across Jakarta, Bali, Bandung, Surabaya, Yogyakarta (Jogja), Bogor and Singapore. Just search and book a desired hotel and pay using any of the following payment methods: Bank/ATM transfer, Credit Card, Kredivo, Mandiri, Clickpay, Doku Wallet, Alfamart and Pay at hotel. On successful booking you will receive a Confirmation E-Mail and SMS. Book your RedDoorz hotel online using 3 simple steps. 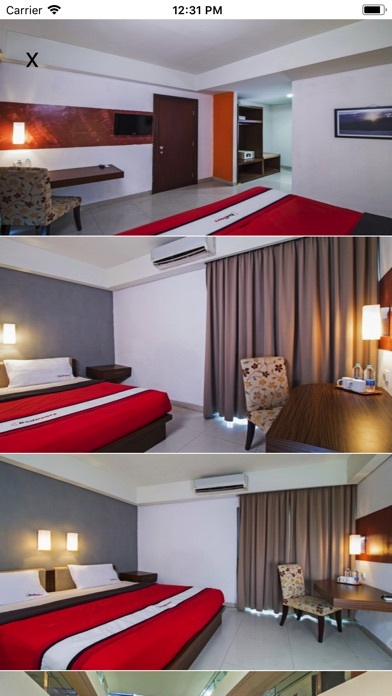 Just select the desired RedDoorz budget hotel. Choose the Check-in, Check-out date and number of rooms. Select the Book now button and make the payment using the various payment options. Manage your Booking Details with the RedDoorz App easily and receive your booking confirmation instantly. We guarantee a Hassle-Free Online Booking Experience! RedDoorz ensures it provide the users with a Comfortable stay including amenities like Free Wifi, TV, Spotless Linen, Mineral Water and Sanitized Washrooms. Book your Stay in a RedDoorz and relish all-inclusive services. RedDoorz have a large range of options that suit the budget and preferences of the users. 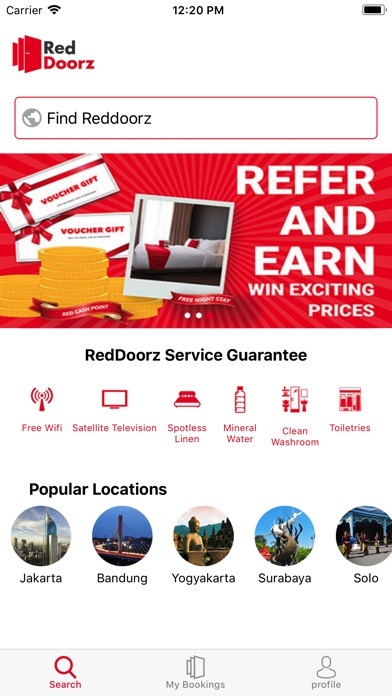 On the RedDoorz Mobile App we ensure that you will get the best rates for RedDoorz hotels. For every booking on RedDoorz get assured RedCash(loyalty points) up to 40% of the booking amount. RedCash can be used while booking a hotel to get instant discount. Added functionality to filter stay options on the basis of Price and Location. 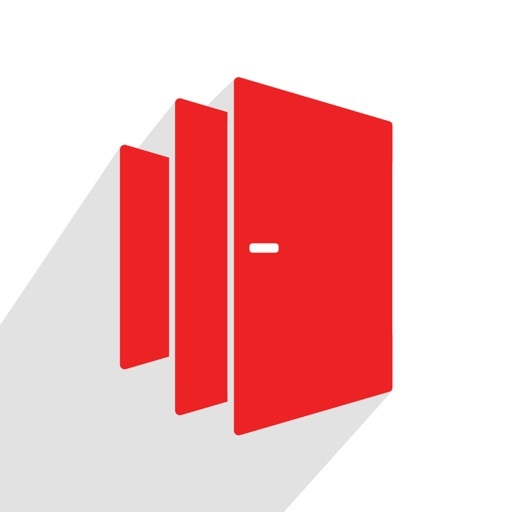 The feature ‘RedDoorz Around You’, simplifies for you to search for the nearby RedDoorz around your location. With the Pay at hotel option on RedDoorz, you can now pay at the time of Check-In at the RedDoorz hotel. Select Pay at Hotel option at the time of checkout screen and pay at the hotel. RedDoorz has a 24X7 Customer Service team to resolve all user queries and complaints. In case you have any issue, suggestion or complaint, the customer service can be contacted using email, phone or contact us form. To be updated with the latest news about new RedDoorz properties, upcoming and on-going promo offers, contests and recommendations about travel follow us on our Social Media channels.